North Central academic advisors provide assistance so that students achieve success in their educational programs. They explain college policies and services, degree requirements and transferability, and help students with schedule planning and graduation checks. Students who place into developmental coursework are required to speak with an advisor prior to enrollment in classes and prior to making changes to their class schedules. Advisors are available through Student Services in Petoskey, and hold office hours in Gaylord and Cheboygan, most often by appointment. North Central licensed professional counselors help students adjust to college life, assist with curriculum choices, provide career exploration services and provide support to those experiencing social and emotional problems that interfere with academic success. Counselors maintain a cooperative liaison with service agencies in the community and help students find needed services not available at the College. Counseling services are free, confidential and available in fall and winter semesters through Student Services. Assessments are available to help students select appropriate college majors and career areas: the Strong Interest Inventory and its iStartStrong version, and the Myers-Briggs Type Indicator© (MBTI©). All are completed online, and each generally takes 30 minutes. The Strong and Myers-Briggs assessments involve a mandatory interpretation session with a counselor during regular business hours. The iStart Strong version of the Strong Interest Inventory is a web-based, self-explanatory test that does not require counselor interpretation. A fee is charged for each assessment. Group health and accident insurance programs are recommended for all students. The coverage should be designed to protect the student from medical expenses resulting from accidents and illness, including those which occur off campus and during semester breaks or authorized absences, and 24-hour protection for 12 months should be available. Students are encouraged to contact their family insurance carrier. Information on insurance policies specifically designed for college students is available in Student Services. Learning Support Services provides access to Disability Services, Tutoring and Study Skills Resources and the Math Lab computer software. Testing Services include CLEP®, CNA, ACCUPLACER®, DSST, GED® and Test Proctoring for North Central Michigan College as well as other institutions. The offices of Veteran Services, WOCTEP and Women's Resources are also located in this office area. For more information please call (231)348-6682. Call (231) 348-6682 for more information. The College-Level Examination Program (CLEP®) is available through Learning Support Services by appointment. These subject-specific tests allow a student to demonstrate mastery of a subject and thus earn college credit. North Central will accept CLEP® credit with scores of 50 or above. Both CLEP® and North Central charge fees for this testing. CLEP® testing cannot be used to replace a grade in a course previously taken. CLEP® exams are purchased during the registration process at http://clep.collegeboard.org. CLEP® exams cost $80 each. North Central charges a $20 proctoring fee, bringing the total cost to $100 for each exam. An appointment is required to take the CLEP® at North Central. CLEP® exams are 90 minutes to two-hours long depending on the subject. An additional 15 minutes is needed for the North Central admission procedure. Please plan accordingly. Photo identification with a signature is required at time of testing. 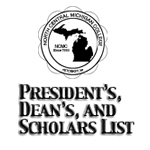 A list of North Central-accepted exams is available at www.ncmich.edu/advising/clep.html. For more information or to schedule an appointment, call (231) 348-6682. The General Education Development (GED®) is available in Learning Support Services by appointment. The four subject area test, when passed, certifies that the test taker has High school-level academic skills. To learn more about GED® testing go to www.ged.com or to North Central's website at www.ncmich.edu/advising/ged.html. DSST is a Credit by Exam Program designed to grant college credits for prior learning. Exams are offered in 30+ subjects. Earn credit for knowledge you have acquired through independent study, prior course work, on-the-job training, military service, professional development, cultural pursuits and internships. Go to www.getcollegecredit.com to learn for about DSST testing or go to North Central's website at www.ncmich.edu/advising/dsst.html. North Central Michigan College recognizes that current licensure or certification represents learning for which credit may be granted. Therefore, the College assesses state licenses/certification as part of its credentialing function. Any student who has applied to North Central Michigan College may apply for license or certification credit evaluation. Upon verification a student is required to pay $25, per contact hour, for credit to be transcribed. The following is a list of current licenses and/or certifications which may be considered for credit. Credit is limited to specific credentials. Additional experience and/or documentation unique to each credential may be required. Students may contact the Registrar's Office, Student Services (231) 439-6347, to request the Credit for Prior Learning form that needs to be completed and submitted. Upon receipt and verification of Licensure/Certification student will be notified of acceptance, and payment must be received prior to credit being posted on a student's transcript. Credit will be posted within 14 business days after receipt of payment and will be noted as "Credit for Prior Learning". Note: North Central Michigan College's decision to award credit for licensure or certification does not obligate any other institution to accept such credits in transfer. Receiving institutions reserve the right to assess transcripts of incoming students and award credit as they see fit. 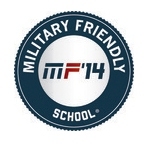 Credits received by students that are based on licensure or certification will not be used to award financial aid or veteran's benefits, but will be considered in determining eligibility. North Central Michigan College does not accept the transfer of credit for licensure or certification awarded at other institutions. Free tutoring is available to North Central students for any course offered at the College. If you have had trouble with a subject in the past or are having trouble keeping up with the pace of the assignments in the course you're taking, it's probably a good idea to work with a tutor for all or part of the semester. Tutoring sessions usually last for about an hour, one day a week, for the duration of the semester. Tutors do not do your homework; they teach you how to do your homework. Bring your books, notes and a copy of your class syllabus to every tutoring session. Have specific questions ready to ask your tutor. Your tutor can help you learn study skills and how to set achievable goals. Consistent class attendance is required of students who receive tutoring. Tutors do not replace the instructor. For more information about tutoring services, call (231) 348-6693. Learning Support Services provides proctoring for make-up and alternate testing to North Central students at no charge, and for a fee for students from other schools. 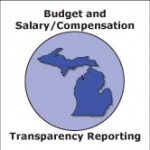 Call (231) 348-6682 for more information. Photo ID is required for all testing. The Library offers students and guests a welcoming and comfortable place for research and study. The Library provides traditional print resources, including books, periodicals and newspapers, along with online access to more than 100,000 books, millions of articles from magazines and journals and a collection of 6,000 educational videos. Students may access these resources on library computers, or online from any location via the Internet. The Library is a Federal Depository Library and provides access and assistance in locating government documents to the public as well as students. The Library provides instruction for students in the use of print materials and applying successful search techniques in online databases. Research help is available by phone, email and IM. Support is also available for Microsoft Office applications and other types of software available on library computers. The Library has study rooms available for student use. Guests may sign up for the Portal in the Library to gain access to the College's computer network. For more information, go to library.ncmich.edu. The Women's Resource Center of Northern Michigan, Inc. (WRCNM), a non-college organization with offices at North Central, offers the Educational & Employment Services Program, providing educational scholarships, career guidance and exploration, résumé development, job search assistance, academic advising and advocacy and community referrals. The WRCNM on-campus office is located in the Learning Support Services area of the Student and Community Resource Center. The licensed, master's-level therapists at the Women's Resource Center of Northern Michigan have specialized training and experience in providing services to current and past survivors of crimes such as domestic/dating abuse, sexual assault, child abuse and child sexual assault. These counseling services are provided at no cost to all survivors. Non-victim related counseling is also available for issues such as depression, parent challenges, grief/loss and life transition on a fee-based, sliding scale, and no one is turned away if unable to pay. Call the WRCNM Administrative/Counseling Office for more information or an appointment, (231) 347-0067. The WRCNM's 24-hour crisis and information lines are (231) 347-0082 or 800-275-1995. The WRCNM on-campus office is located in the Learning Support Services area of the Student and Community Resource Center. North Central Michigan College is recognized by the Department of Education of the State of Michigan. 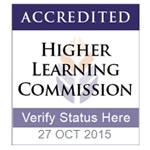 The College is accredited by the Higher Learning Commission and is a member of the North Central Association. Certain programs at North Central also carry additional approval status and/or national accreditation. Documents describing licensing and accreditation are available for review in the President's office. 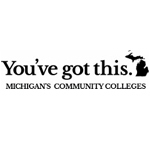 North Central is a member of the American Association of Community Colleges, the Michigan Community College Association and the Association of Community College Trustees. North Central is a member of the Achieving the Dream initiative, which was launched by the Lumina Foundation and seven founding partner organizations in 2004. Today, Achieving the Dream is the most comprehensive, non-governmental reform network for student success in higher education history. North Central joins more than 200 colleges across 32 states and the District of Columbia to help 3.8 million community college students realize greater economic opportunity and achieve their dreams.